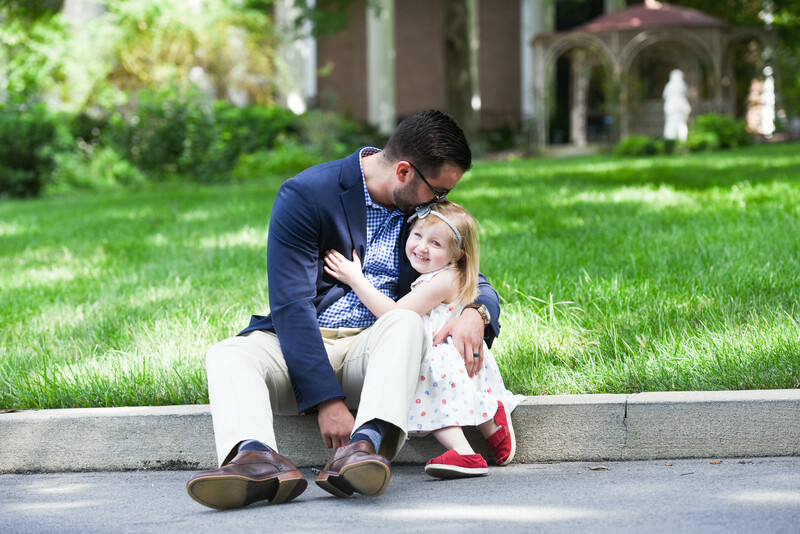 Robbie Tyrney, Belmont economics student, veteran and president of student organization Bruin Vets, recently founded The Giving Goose to support childhood cancer research across the country. In 2015, when Tyrney’s young daughter Zoe was diagnosed with an atypical teratoid rhabdoid brain tumor, he and his wife entered an unfamiliar world of hospitals, operations, chemotherapy, oncologists and more. Though Zoe’s aggressive diagnosis came with just a 15 percent chance of survival, Tyrney was hopeful and knew he’d just found himself on his life’s newest journey–improving the survivability of pediatric cancer. A year later, when Zoe’s first No Evidence of Disease (NED) scan came after rounds of chemotherapy and radiation, The Giving Goose (TGG) was born. Fittingly named after Zoe’s nickname, “Goose,” the company was established to support childhood cancer research and provide hope for families who find themselves in similar fights. Now, The Giving Goose is a community partner with The Rally Foundation for Children Cancer Research and to date, has donated more than $5,000 to the cause. By operating a product line of merchandise including hand-poured soy candles, apparel and coffee mugs, TGG donates 50 percent of its profits to research. Moving forward, Tyrney and TGG plan to expand their online presence and increase sales to better serve their nonprofit partners. TGG has a retail storefront at Miss Lucille’s in Clarksville, operated by Belmont alumna Luci Knott Armitstead and will launch its new website this summer.